Tucked away in the wilds of northern Zimbabwe is an adventure for the senses. The UNESCO protected Mana Pools plays host to African Bush Camps’ pioneering safari experience - the Super Sensory Safari. 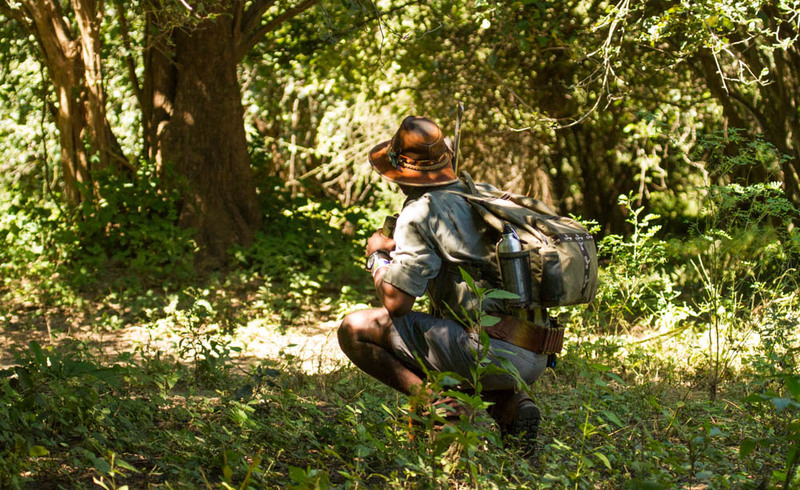 This unique experience combines the premise of a traditional safari with the specialist concepts of a soundscape safari and the study of biomimicry. The Super Sensory Safari combines nature, adventure and learning. It aims to inspire safari-goers with the genius of the natural world. “It is fascinating to not only observe nature, but to learn in depth about how nature works and designs itself to be more efficient and how much humans have to learn from nature,” explained Jemma MacMillan of the African Bush Camps team. 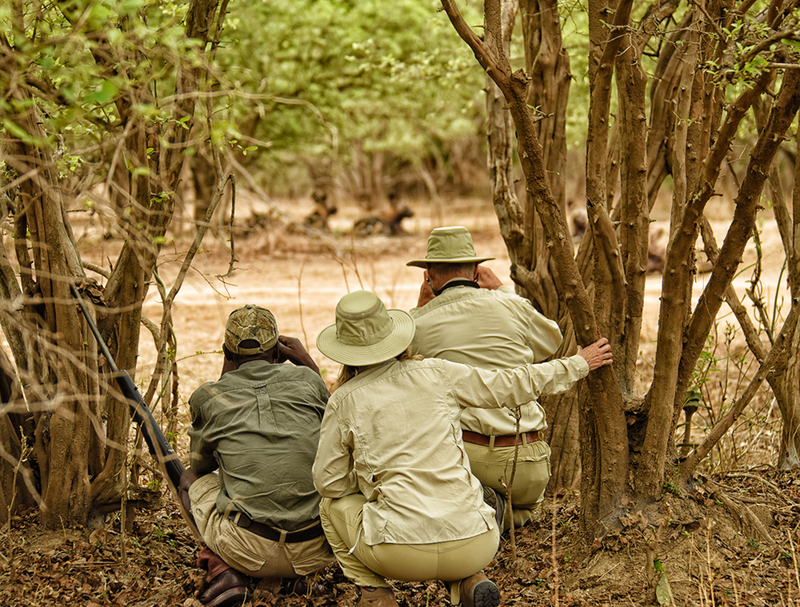 The safari is spread out over six days during which guests will be treated to the nuances of the natural world. During this modern take on the traditional safari, guests are led by professional guides and make use specialist technology equipment. The soundscape safari is led by Derek Solomon who introduces guests to the “sounds of the bush” using headphones connected to sophisticated microphones. The portion of the safari focused on Biomimicry is headed by Rob Janisch who leads guests on learning expeditions. Biomimicry is the study of nature’s genius and has much to teach us about how to live innovatively in our world to create a sustainable future – using nature as inspiration. From conception to completion, it took close on one year to finalise the Super Sensory Safari. This involved choosing optimum locations and securing the two specialist guides; Solomon and Janisch. “[The] most memorable part for me was the soundscape safaris, through Derek Solomon’s aquaponic headphones, we listened to underwater sounds [even learning] that hippos sing like whales when underwater,” she added. Each departure takes a maximum of six guests over six days, with the final day reserved for onward travel. It includes daily game drives, walking safaris, canoe excursions as well as a famed Armchair Safari. During the safari, guests stay at Kanga Camp and Zambezi Expeditions in Mana Pools. 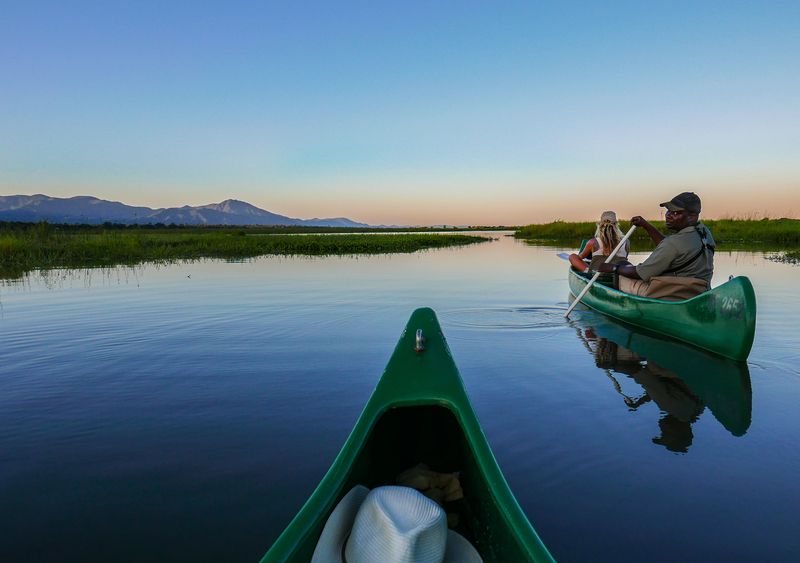 African Bush Camp’s Super Sensory Safari offers guests the opportunity to roam through the wilderness of Mana Pools and along the edge of the mighty Zambezi. It allows them to do more than admire their surroundings from a game drive vehicle - it’s a chance to learn and stimulate the senses in the natural world. Upcoming departures are 9th – 15th April 2018 and 8th – 14th June 2018. Guests can take advantage of African Bush Camps Mana Madness Special which includes free flights in and out of Mana Pools. Looking to embark on your own sensory adventure? Start planning your trip today! Banner images and canoe image credited to Eleven Magazine. All other images courtesy of African Bush Camps.